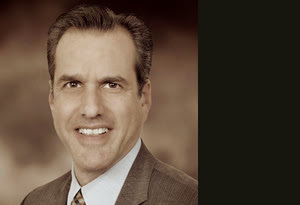 Bob Haroche works extensively in real estate, land use, and general commercial litigation. His practice encompasses all aspects of real estate law, including acquisition and development, zoning and entitlements, CEQA, environmental compliance, boundary and easement disputes, and issues involving brokers, lenders, and contractors. He has successfully represented his clients before administrative and planning agencies, including the county Boards of Supervisors, city councils, and planning commissions. Bob is outstanding at dispute resolution — he is able to quickly grasp the larger picture of what his clients need, and use that understanding to obtain an effective, timely, and practical solution. Once he takes on a new matter, he commits fully, tenaciously, and tirelessly. Bob’s ideal clients are individuals and small- to medium-sized firms located in northern California. His clients are typically smart, sophisticated, and active participants in their own legal and business strategies. Bob cares deeply about educational issues and serves on the board of the Charter Foundation, a non-profit organization supporting public Waldorf education. He lives in Sebastopol with his wife and two sons. Originally from New York, he previously owned a web development and design company.